On Wednesday, October 9, Dr. Rainer Böger, a world-leading expert in L-arginine research and member of Synergy’s Medical and Scientific Advisory Board, will join us as the featured speaker for this month’s Cardio Call! When: Wednesday, October 9, 2013. (8:30 AM PT, 10:30 AM CT, 11:30 AM ET). Please note, Dr. Böger will be participating from Germany – an eight hour time difference. For this reason, the call will be held at 9:30 AM Mountain Time. It will also be recorded for those who are unable to listen live. Mark your calendars and don’t miss this opportunity for you, your team, and your guests to learn why Dr. Böger believes ProArgi-9+ to be the superior L-arginine supplement on the market today. The recording will be available later in the day, following the live call on Wednesday, October 9. Dr. Böger is currently the Professor of Clinical Pharmacology and Director of the Institute of Clinical Pharmacology and Toxicology at Hamburg University Medical Center, Germany. He is also Director of the Clinical Trial Center North at Hamburg University. Dr. Böger’s scientific work centers on the early diagnosis and prevention of cardiovascular related diseases. Dating back to the beginning of his medical career, Dr. Böger has been heavily involved in the research and treatment of cardiovascular related diseases. In 1991, while working closely with pharmaceutical drug companies to develop treatments that could combat and alleviate such diseases, he became highly interested in nitric oxide (NO) and its effects on the vascular system. Dr. Böger has dedicated 21 years of academic research in basic science and clinical studies related to L-arginine and its influence on the body’s ability to produce NO. His major achievements are the discovery that ADMA (asymmetric dimethylarginine) is a risk marker of vascular disease and the utilization of L-arginine to prevent vascular dysfunction and disease. Dr. Böger collaborates with renowned institutions like the Mayo Clinic and Stanford University Medical Center. He has documented his knowledge in more than 200 scientific articles, of which 130 exclusively cover the roles of ADMA and L-arginine in cardiovascular and metabolic diseases. Dr. Böger’s extensive knowledge, expertise, and ongoing research clearly set him apart as one of the world’s leading L-arginine experts. 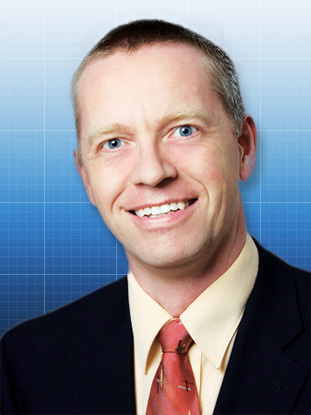 It’s an honor to have Dr. Böger as part of the Synergy WorldWide team.